South Island Wargaming, New Zealand. • View topic - Warmachine charity event: Who's the Boss?! Warmachine charity event: Who's the Boss?! When should I run this event, and how many days? Post subject: Warmachine charity event: Who's the Boss?! 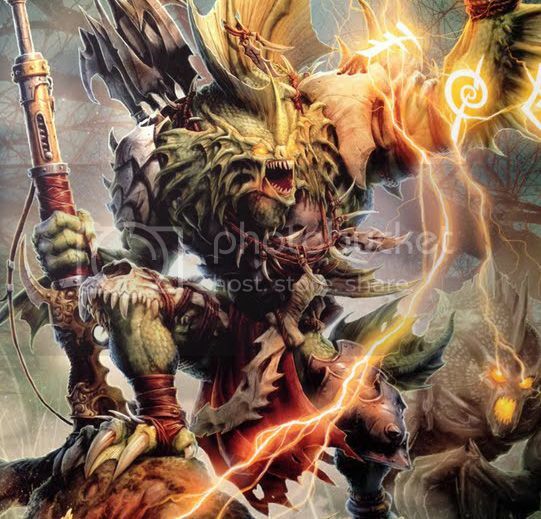 I'm looking at running an SPCA charity event sometime in the first half of 2013. Who's the Boss is a very fun format, where you make 1 army list like normal, with 5 beast/jack points but no warcaster/warlock. Then each round you randomly determine who your caster will be from any faction except your own! The Warcasters focus becomes fury if it's added to a Hordes army, or the same if it's a Warlock going into a Warmachine army. Your adopted caster counts as friendly faction an changes the wording of his spells to fit if he is in Hordes or Warmachine (eg target friendly warjack would become target friendly warbeast in a hordes army). This is a super fun event that's becoming very popular in the US, and you will be able to donate extra money to get special bonuses during the game. You can make the donation at the start of ANY of your turns. To make this event work I need to know how many days people want, when the event should be (keeping in mind the major events during the year) and I also need help sourcing as many Warlocks and Warcasters as possible. If you can supply anyone I don't have please let me know in a comment below. Post subject: Re: Warmachine charity event: Who's the Boss?! all of them reasled as of 2012. @ Hooch: Pfft, you and your logic. I want to keep record of who I'm getting what from anyway. I found so more adam. You should have every Khador caster except for LVlad from me. Retribution: all except Vyros2 (but I'll likely have him before the event). I'm looking at making this a 1 day event in April. May is going to be OFAS and March I'll be up north for IoM. Any feedback on the format before I cement the details? This is for charity so I really hoping to make it fun and successful. fun and silly I think 50 pt with random casters ? extend deathclock maybe? Due to real life issues I'll be moving this event back to September.